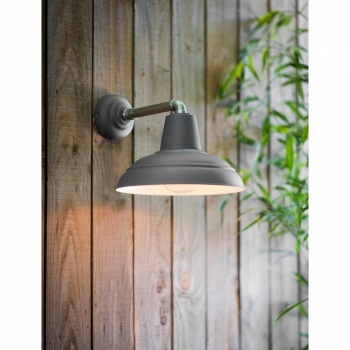 The mix of industrial materials make the Southwark Outdoor Wall Light a stylish option when looking to update any exterior. Crafted from Powder Coated Steel and Nickel, the matt Charcoal colouring will add a sophisticated edge to both contemporary and traditional styled homes. It would also be perfect for the exteriors of businesses and restaurants that are looking for something unique in appearance. 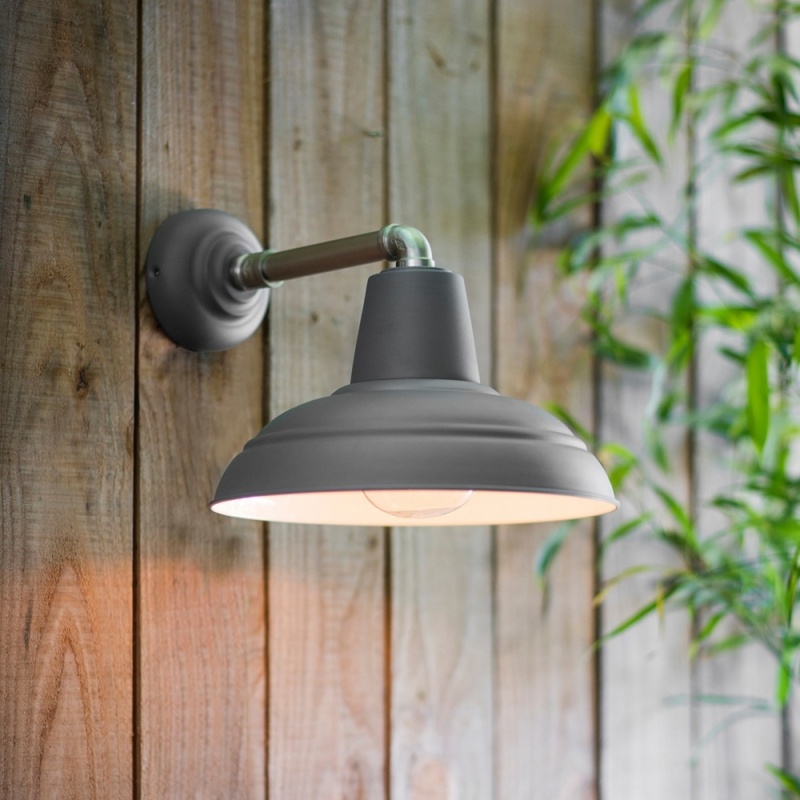 Leading on from the success of our indoor Southwark range, we felt the design lends itself to both interior and exterior lighting. 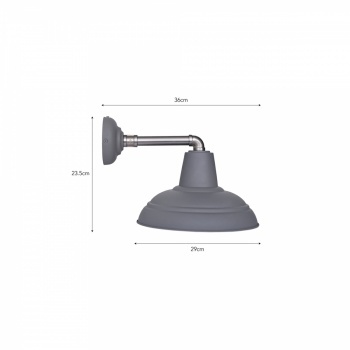 The water pipe style arm offers a unique edge to this classic shaped light. 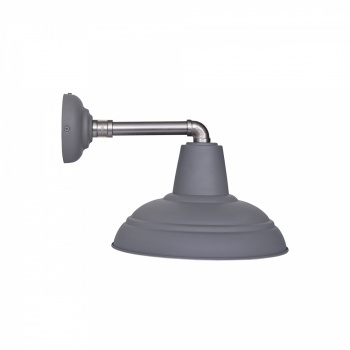 It's fully weatherproof and is motion sensor compatible.